Step 1 – Cream the butter and sugar together till a pale white/yellow mix is formed. Pre-heat your oven at 180°C while you carry out mixing process. 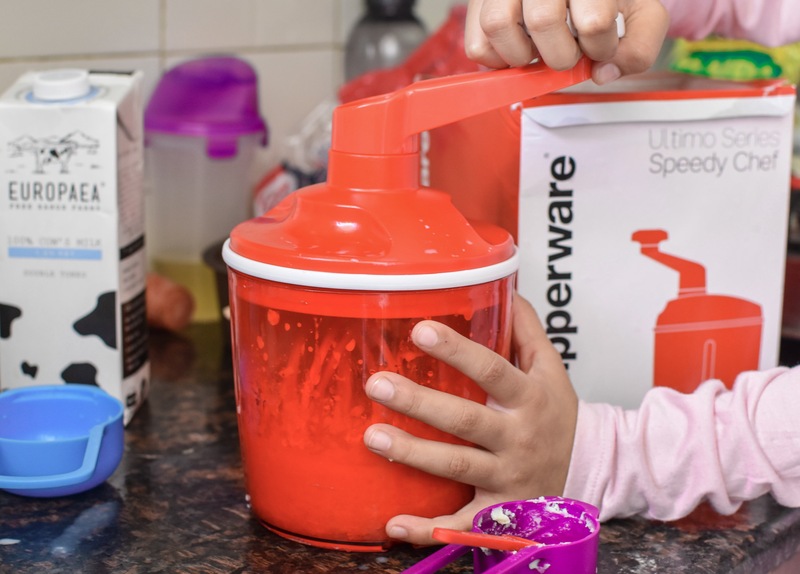 Step 2 – Add an egg to the mix and whisk with Tupperware’s wix until frothy. Step 3 – Add 1/4 cup flour and mix, add a little milk and whisk some more. Step 4 – Add another egg to the mix and whisk until all ingredients are properly mixed and look light and fluffy. Step 5 – Keep adding flour and milk alternatively and whisk till everything is mixed and then add vanilla extract, baking powder and salt and mix some more. Step 6 – Slowly fold everything together and put it in a Tupperware silicone mould, there is no need to butter the mould. Step 7 – Bake this for 45 mins to an hour at 180°C and check to see if its been thoroughly cooked. If your toothpick comes out clean, then the cake is ready. 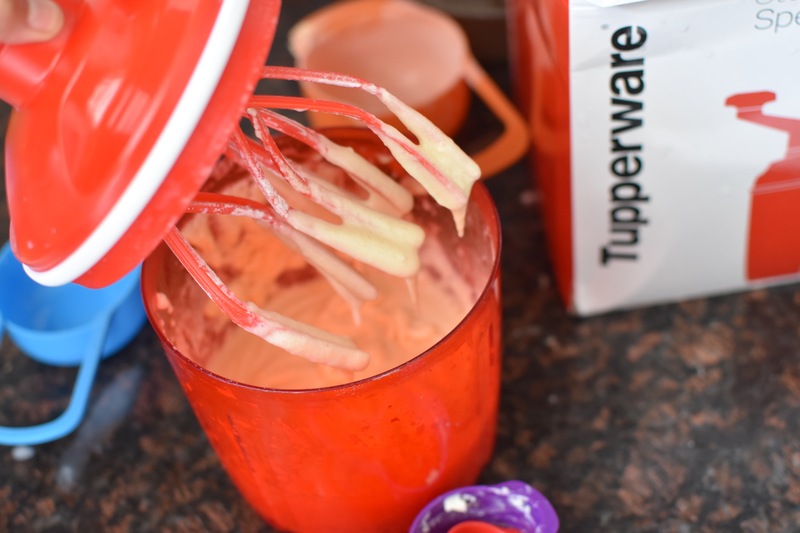 Step 1 – Use the Tupperware whisk to whip cream. Step 2 – Add slightly cooled melted chocolate to it slowly and keep whipping. 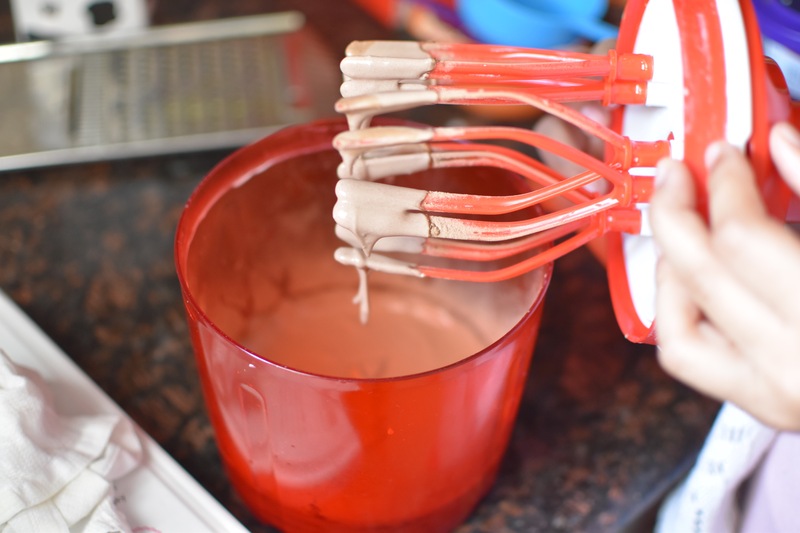 Step 3 – Your icing is ready to be used for decorating the cake. Tip – You can use some strawberries and melted chocolate chips to decorate the cake.